How To Huweai CAM-L21 FRP Lock Remove And Bypass. 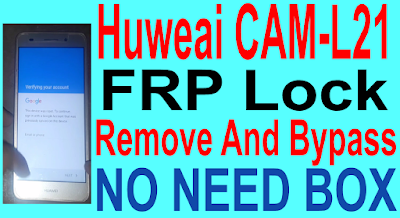 Huweai CAM-L21 FRP Lock Remove Required File. Huweai CAM-L21 FRP Lock Remove Method. 2# Doble click tab on screen. 6# Go to Privecy policy. 11# Download Quickshortcut Maker Apk. 14# Rebot your phone and remove logine gmail. 15# Go to setting hard reset your phone. 16# Now your phone frp lock remove.